People from all over the country and the world flock to Byron for good reason. This magic place and it’s surrounding areas offer a huge variety of things to do. The toughest part is choosing what to do in Byron Bay! The team at Byron Bay Luxe Limousines know the Byron Bay region better than anyone because we drive it every day! Here you’ll discover the best picks across a range of areas as we recommend things to do, places to see, local businesses and accommodation that make Byron Bay what it is. So what do people do here? They come to surf epic breaks at dawn, paddle through hazy beach afternoons and marvel at enchanting sunsets. They come to do reiki, refine their yoga practice, do a raw fast and hang with the fire-twirlers by the beach at sunset. They come to enjoy the regions’ excellent restaurants, then kick on, with backpackers, musicians, models, young entrepreneurs, ageing hippies and property developers at one of its character filled pubs. Or, because it’s Byron, do all of the above, then come back for more. Whatever you do, you’ll feel the positive vibe of this very special place and leave feeling refreshed and inspired thanks to Mother Nature in all her glory and the warmth of the locals who take pride in offering their services in one of the most popular holiday destinations on the planet. One place that gives Byron Bay such a great reputation is the incredible Pavilion 2 at Broken Head – a luxurious modern Balinese styled house set amongst the nature reserve just footsteps from the magnificent sandy beach at Broken Head, seven kilometres south of Byron Bay. If you are looking for the perfect location to escape, unwind and indulge, this is the place! Nestled into the beachfront nature reserve, this secure four-bedroom pavilion style home offers lush gardens, gorgeous pool and spacious decks with massive stackable bi-fold doors that give you the option of indoor or outdoor living. The ideal getaway for an unforgettable holiday, honeymoon, corporate retreat or private spa experience, the property is also available for small, intimate weddings on request. Due to the private location, you won’t find a better couples’ retreat or romantic getaway with secluded gardens, a private pool and outdoor bath. Pavilion 2 at Broken Head is also perfect for extended families or groups of friends, with the master bedroom complete with its own en-suite, private decks, day bed and courtyard and a second en-suited bedroom also boasting a private deck. A third pavilion has a master bedroom and en-suite with a linked sunroom which serves as the fourth bedroom – perfect for singles or children! The luxury and versatility of this unique property with the extent of open, covered and private decks make it the perfect place to sit back and relax or have a luxurious in-house massage arranged. Also perfect for entertaining, the chef’s kitchen, BBQ, and indoor/outdoor setting make a wonderful place to share memories with friends and family. Why not indulge in a private chef so you can enjoy the freedom of being on holiday? 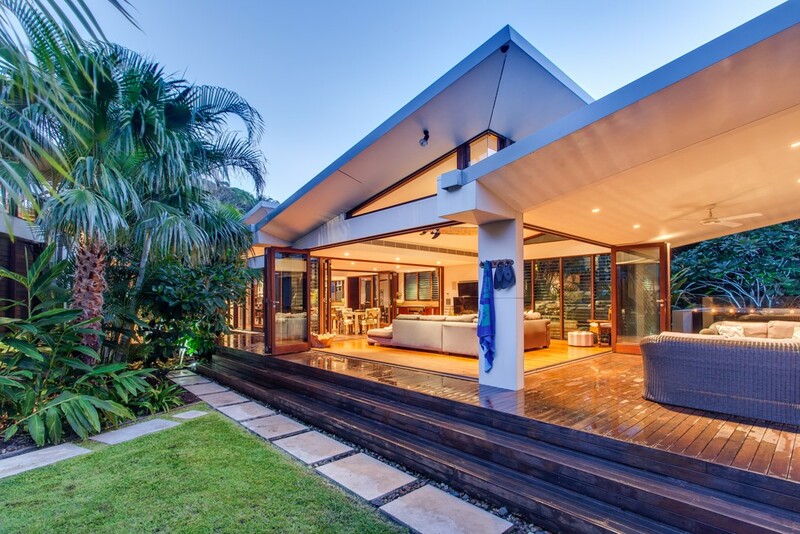 You’re in the best of hands with Byron Bay Holiday Rentals as the local managers. The team will work closely with you to ensure you have everything you need for your perfect escape including 24/7 support during your stay. If you’re in Byron Bay for a while and have an interest in Eastern healing therapies, check out the Byron Thai Massage School. The generations of experience and knowledge learned and passed down through feeling and intuition has evolved Thai Massage into one of the four principal components of traditional Thai medicine, along with nutrition, herbal medicine and spiritual practice. 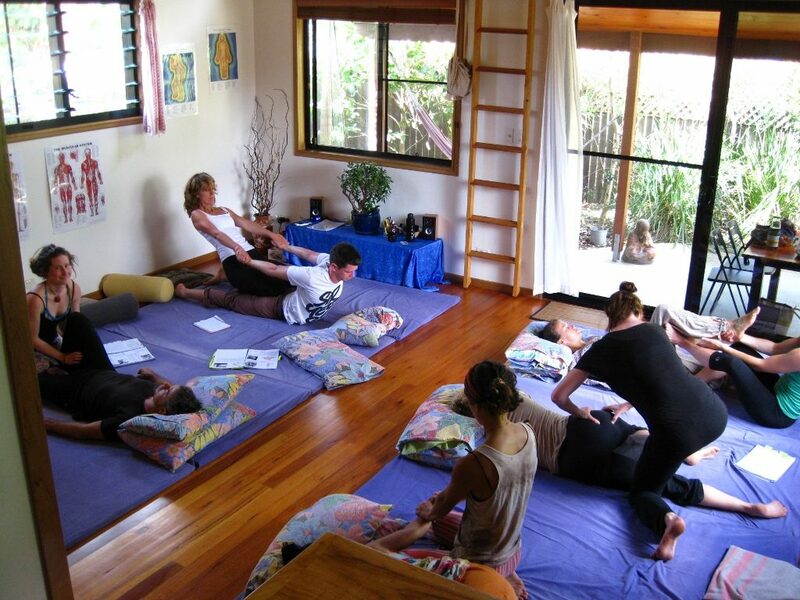 Byron Thai Massage School was born in 2003 from the passion Valentina Gombi has for this amazing style of massage. Valentina works together with one of Byron’s best yoga teachers, who designs a class every morning based on the sequence students will learn on the day. Valentina has purposely created the full course as a 15 day training for 8 hours per day, rather than 10 days, so students have the time to have extra practice and integrate the new knowledge under supervision, with small classes to resulting in more feed-back, personal attention and knowledge transfer delivered in a more personalised way. Training is offered from a beautiful studio in an ideal setting, specifically built for the course, supported by the comforts of a full kitchen, covered outdoor area and a quiet, serene atmosphere. Offering small group courses or two-on-one tuition to suit varying needs and levels, for a taster, the basic 5 day course is a good option. If you’re looking for a full qualification, then the professional 3 week intensive practitioner training is the way to go, with two-on-one basic or advanced tuition also able to be tailored to your needs and experience. When deciding what to do in Byron Bay, you can’t go past the world class events on offer here. 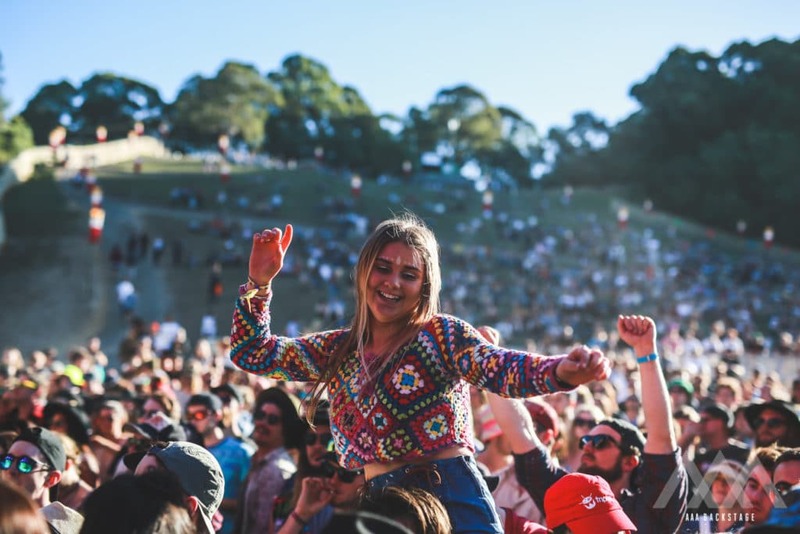 Splendour in the Grass is now one of Australia’s premier music festivals, held annually since 2001 and is on this year from Friday 21 July 017 to Sunday 23 July. With plenty of on-site camping, Splendour creates its own community for a weekend involving a heady mix of contemporary performing artists from around the globe. Past headline acts have included Coldplay, The Strokes, Kanye West, Arctic Monkeys, Devo, Mumford and Sons, and Bloc Party. 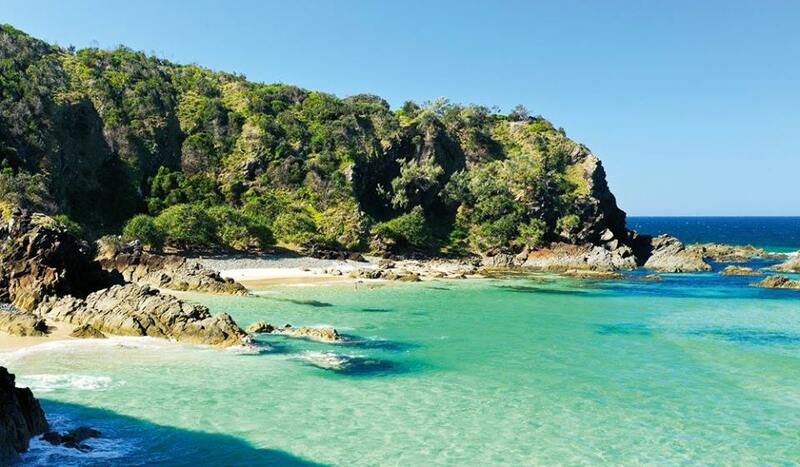 We hope this month’s blog has provided some suggestions of what to do in Byron Bay. Contact Byron Bay Luxe Limousines today to find out about our luxury limousine transfers.